Head to Srinagar for Honeymoon! Which newly wed would not want to play with the snowballs with their partners and become a witness to snowfalls in Kashmir? And Winters is the best time to so! So, in case you are to be wed this winters, book your air tickets right away for your honeymoon and paint the best memories of your life here. Are you a Nat Geo Fan? 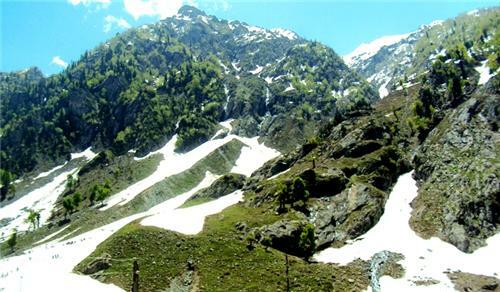 Visit Pahalgam for Kolahoi Glaciers! Pahalgam has been forever famous for its Kolahoi or hanging glaciers. In case you are a Discovery child, you cannot miss this place to investigate more on them. If you are not a prodigy, don't worry, this place is home to a lot of snowfall as well. 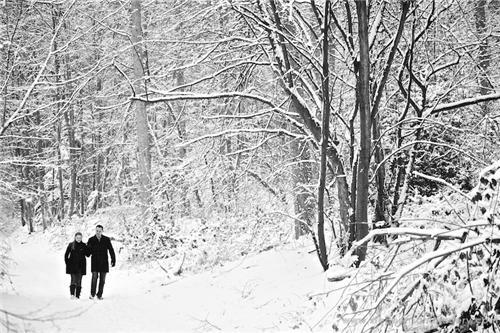 So forget everything and enjoy the snow! 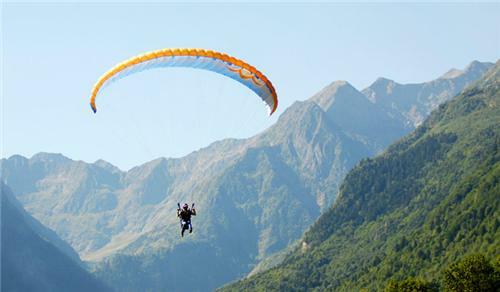 Patnitop is a famous spot for Para-Gliding in Jammu and Kashmir. So in case you feel like doing so in your winter vacation, Patnitop is your destination! Zorbing and Skiing are some other adventure activities for you to indulge here. 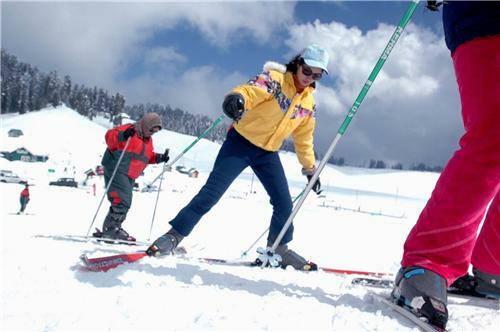 Gulmarg becomes the most happening spot of Jammu and Kashmir in Winters. You can try more than a dozen of adventurous activities like water skiing, pony ride, mountain cycling, snowboarding, ice hockey, trout fishing and what not! So in case you are looking for something adventurous, Gulmarg will definitely serve your purpose this winters! Needless to say, Leh is one of the most loved destinations for road trips, especially bike rides. People from all over the world come to leh to experience the enthralling Himalayas. Don't Wait, Hit the Road! Apart form these activities in Kashmir, you can always look for the frozen Dal Lake in Srinagar, 2nd highest cable car in Gulmarg and the Nag Temple of Patnitop during your stay. So, what are you waiting for? C'mon the snow will melt soon.. gear up and come to Kashmir for your winter holidays now!